In May 2017, the Leung lab visited several collaborating groups in Asia and shared with them our research vision on using zebrafish to find new drugs for retinal degeneration. 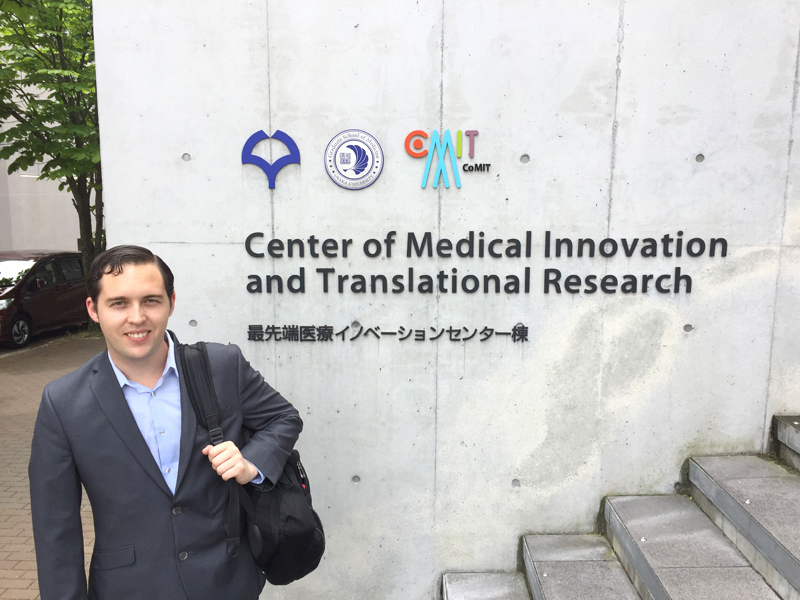 In this blog post, we will share some pictures of our visit to the Department of Ophthalmology at the Osaka University School of Medicine. We met our long-term collaborator Dr. Motokazu Tsujikawa. He is a co-mentor of Logan Ganzen, a graduate student in our laboratory. Logan is a recipient of the predoctoral award from the Indiana Clinical and Translational Sciences Institute. 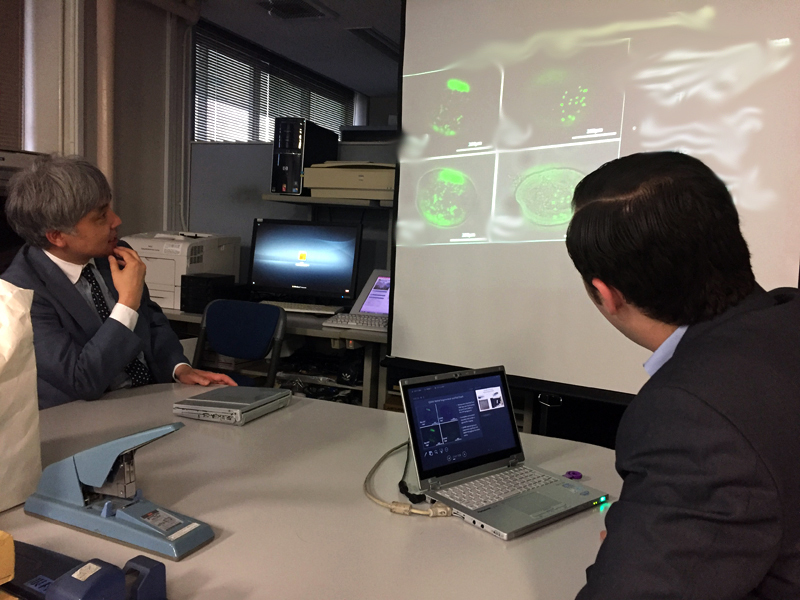 During our Osaka trip, he presented a talk entitled “Visual Motor Response of a Transgenic Retinitis Pigmentosa Zebrafish Model” to Dr. Tsujikawa. Logan in front of a new Center for Medical Innovation and Translational Research. 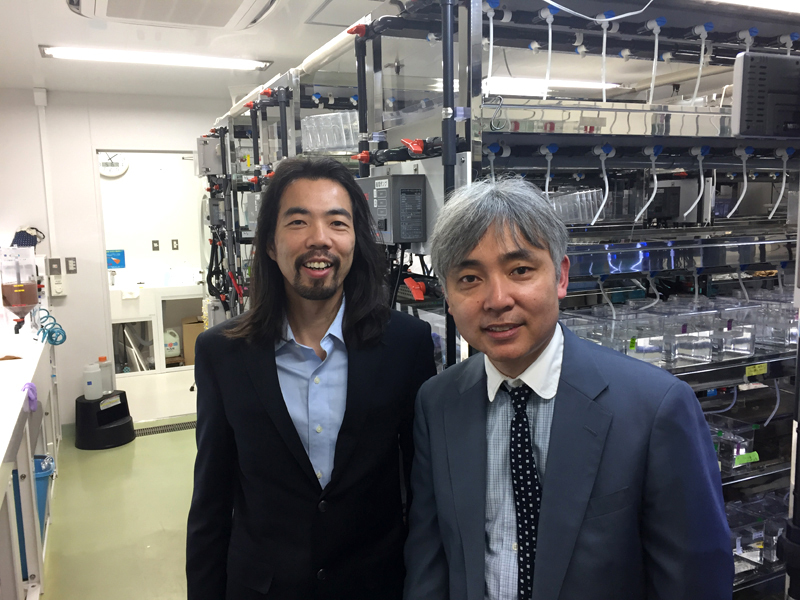 Fai and Dr. Motokazu in his zebrafish facility in the Center of Medical Innovation and Translational Research. 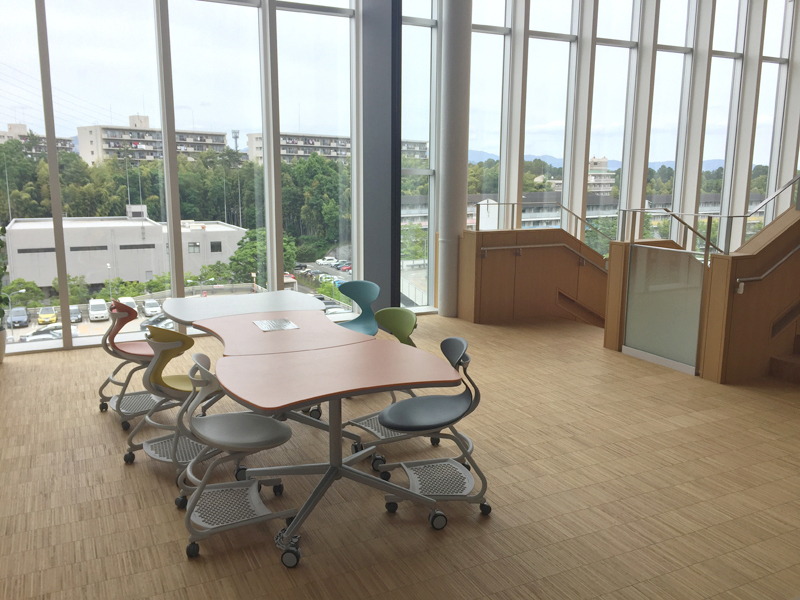 The Center is beautifully designed with lots of open space. 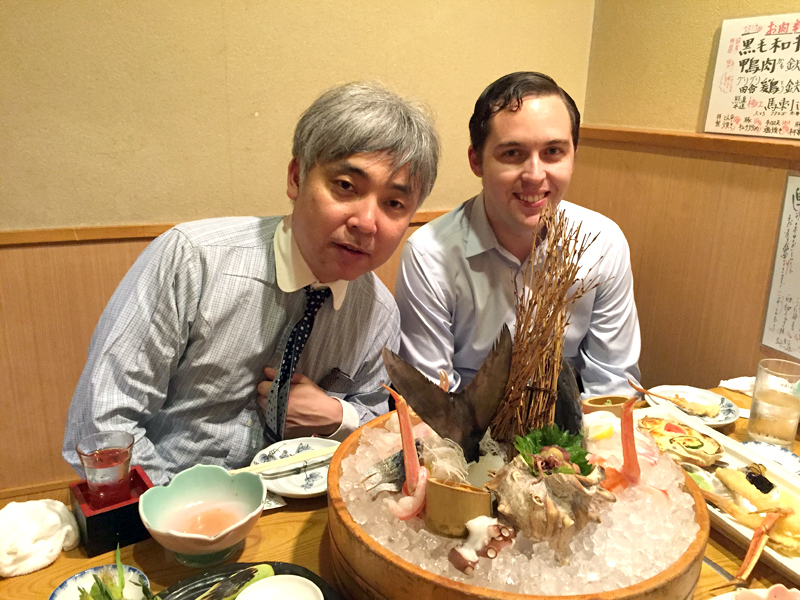 Logan presented his latest findings to Dr. Motokazu, who served as a co-mentor in Logan’s CTSI predoctoral fellowship. 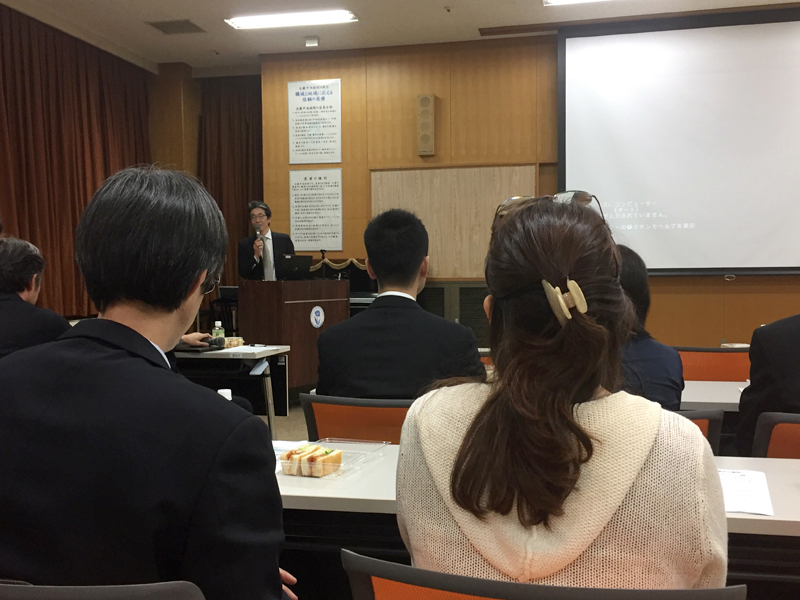 We also visited the daily operation of the ophthalmology clinic and Osaka University Hospital, and participated in the grand rounds of the local ophthalmologists. 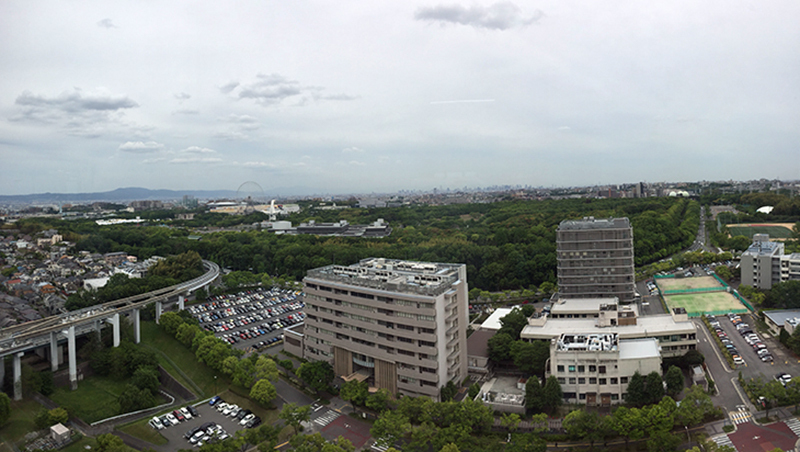 We experienced firsthand the passion of translational research from our Japanese colleagues. A panoramic view at the top floor of the hospital. We joined the grand rounds of the local ophthalmologists. Dr. Kohji Nishida welcomed the group and gave an opening speech. Even though we did not speak Japanese, we witnessed their passion to improve clinical service through research. 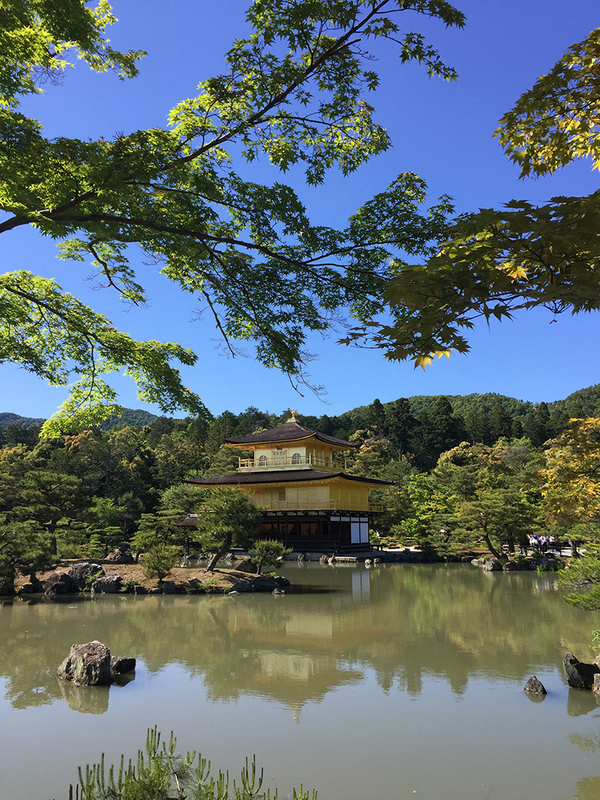 Needless to say, we were also well-fed by Dr. Tsujikawa with the finest Japanese food, and took some time to visit Kyoto, a magnificent ancient city. Dr. Motokazu fed us with delicious Japanese food! A torii path at the Fushimi Inari Taisha in Kyoto. Posted by Yuk Fai Leung on June 17, 2017 at 6:26 PM under Fai's sharing. Mali P, Esvelt KM, Church GM. Cas9 as a versatile tool for engineering biology. Nat Methods. 2013 Sep 27;10(10):957-63. doi: 10.1038/nmeth.2649. PubMed PMID: 24076990. Esvelt KM, Mali P, Braff JL, Moosburner M, Yaung SJ, Church GM. Orthogonal Cas9 proteins for RNA-guided gene regulation and editing. Nat Methods. 2013 Sep 29. doi: 10.1038/nmeth.2681. [Epub ahead of print] PubMed PMID: 24076762. Jao LE, Wente SR, Chen W. Efficient multiplex biallelic zebrafish genome editing using a CRISPR nuclease system. Proc Natl Acad Sci U S A. 2013 Aug 20;110(34):13904-9. doi: 10.1073/pnas.1308335110. Epub 2013 Aug 5. PubMed PMID: 23918387; PubMed Central PMCID: PMC3752207. Pennisi E. The CRISPR craze. Science. 2013 Aug 23;341(6148):833-6. doi: 10.1126/science.341.6148.833. PubMed PMID: 23970676. Koboldt DC, Steinberg KM, Larson DE, Wilson RK, Mardis ER. The next-generation sequencing revolution and its impact on genomics. Cell. 2013 Sep 26;155(1):27-38. doi: 10.1016/j.cell.2013.09.006. PubMed PMID: 24074859. Rivera CM, Ren B. Mapping human epigenomes. Cell. 2013 Sep 26;155(1):39-55. doi: 10.1016/j.cell.2013.09.011. PubMed PMID: 24074860. Bauer DE, Kamran SC, Lessard S, Xu J, Fujiwara Y, Lin C, Shao Z, Canver MC, Smith EC, Pinello L, Sabo PJ, Vierstra J, Voit RA, Yuan GC, Porteus MH, Stamatoyannopoulos JA, Lettre G, Orkin SH. An Erythroid Enhancer of BCL11A Subject to Genetic Variation Determines Fetal Hemoglobin Level. Science. 2013 Oct 11;342(6155):253-257. PubMed PMID: 24115442. Commentary: Hardison RC, Blobel GA. GWAS to Therapy by Genome Edits? Science. 2013 Oct 11;342(6155):206-207. PubMed PMID: 24115432. Deeti S, O’Farrell S, Kennedy BN. Early Safety Assessment of Human Oculotoxic Drugs Using the Zebrafish Visualmotor Response. J Pharmacol Toxicol Methods. 2013 Sep 30. doi:pii: S1056-8719(13)00299-2. 10.1016/j.vascn.2013.09.002. [Epub ahead of print] PubMed PMID: 24091134. Chakravarti A, Clark AG, Mootha VK. Distilling pathophysiology from complex disease genetics. Cell. 2013 Sep 26;155(1):21-6. doi: 10.1016/j.cell.2013.09.001. PubMed PMID: 24074858. Moreno JA, Halliday M, Molloy C, Radford H, Verity N, Axten JM, Ortori CA, Willis AE, Fischer PM, Barrett DA, Mallucci GR. Oral Treatment Targeting the Unfolded Protein Response Prevents Neurodegeneration and Clinical Disease in Prion-Infected Mice. Sci Transl Med. 2013 Oct 9;5(206):206ra138. PubMed PMID: 24107777. Commentary: Scheper W, Hoozemans JJ. A New PERKspective on Neurodegeneration. Sci Transl Med. 2013 Oct 9;5(206):206fs37. PubMed PMID: 24107775. Tappeiner C, Gerber S, Enzmann V, Balmer J, Jazwinska A, Tschopp M. Visual acuity and contrast sensitivity of adult zebrafish. Front Zool. 2012 May 29;9(1):10. PubMed PMID: 22643065; PubMed Central PMCID: PMC3453526. Bianco IH, Kampff AR, Engert F. Prey capture behavior evoked by simple visual stimuli in larval zebrafish. Front Syst Neurosci. 2011;5:101. doi:10.3389/fnsys.2011.00101. PubMed PMID: 22203793; PubMed Central PMCID: PMC3240898. Posted by Yuk Fai Leung on October 12, 2013 at 6:53 PM under journal watch.